I’m not a musician; nor do I follow many bands religiously. I love the occasional concert, but rarely justify the money. Let’s just say I was never a groupie. Still, I consider myself a music lover – especially when it completes a particular scene. 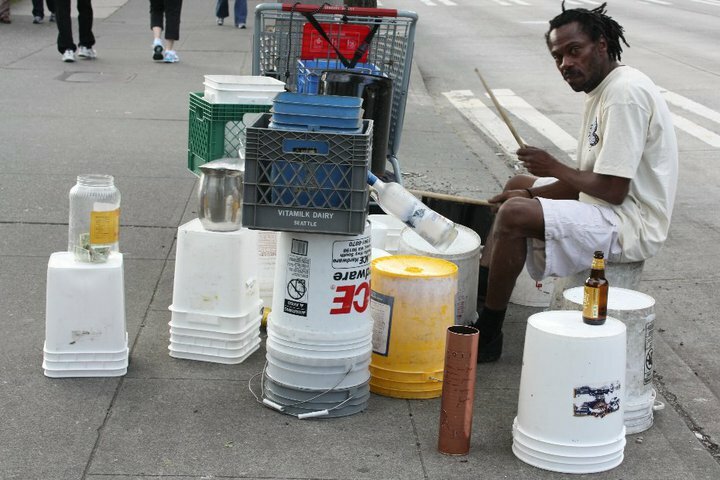 I have always been a fan of street music, and have purchased a CD or two on a whim, wanting to support a new artist to ‘make his break’. More than just the CD for sale, I love how street music brings people together. Children come in close, mothers start to dance, tourists pull out their cameras or the passersby in a hurry may just slow his step. 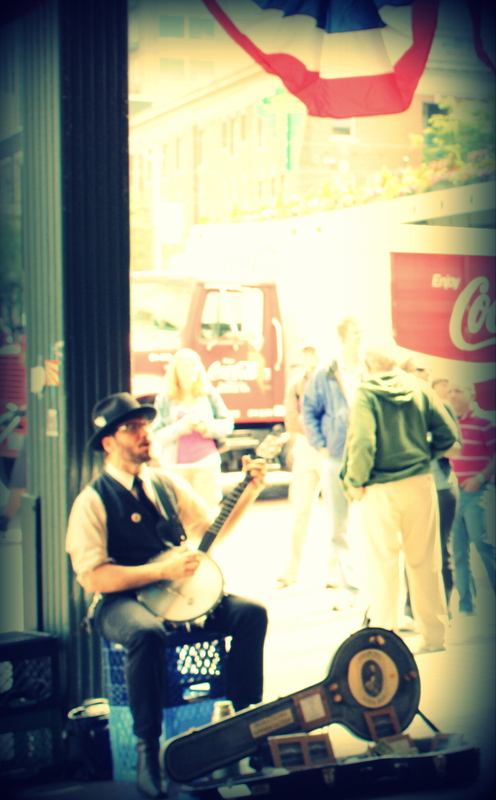 Sometimes it may be in the most obvious location – always at the same stoop at Seattle’s Pike Place Market. Or sometimes it comes when you are not expecting it, but the timing is so perfect you couldn’t have planned it better. 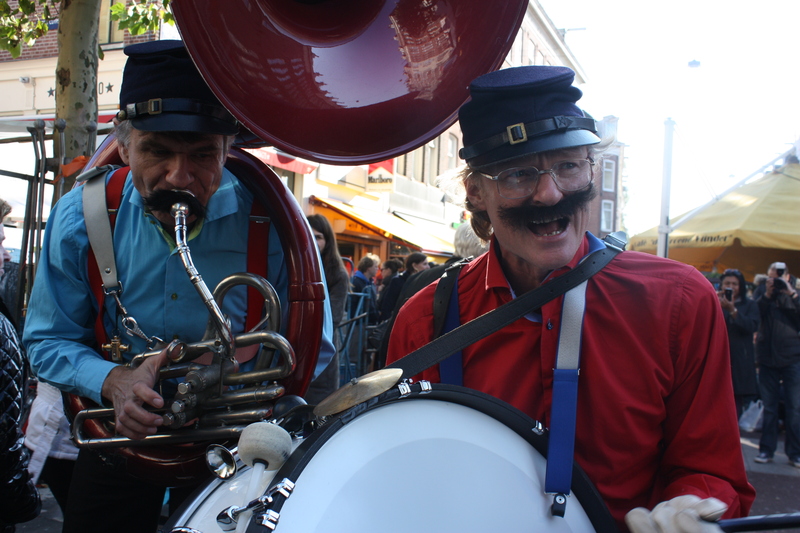 Amsterdam has a great selection of live music, expected and unexpected, and most of it for free: Sunday jazz throughout the city’s cafes, alternative folk music at a run-down hippy bar or the occasional street performance. One of the best street performances happened just outside my apartment. It was a sunny October day and I had two friends from Stockholm visiting. We ventured by bicycle to breweries, markets and along canals. As we rummaged through tacky jewelry and souvenir tokens at the Albert Cuyp Street Market, we were graced by the most random rock band. 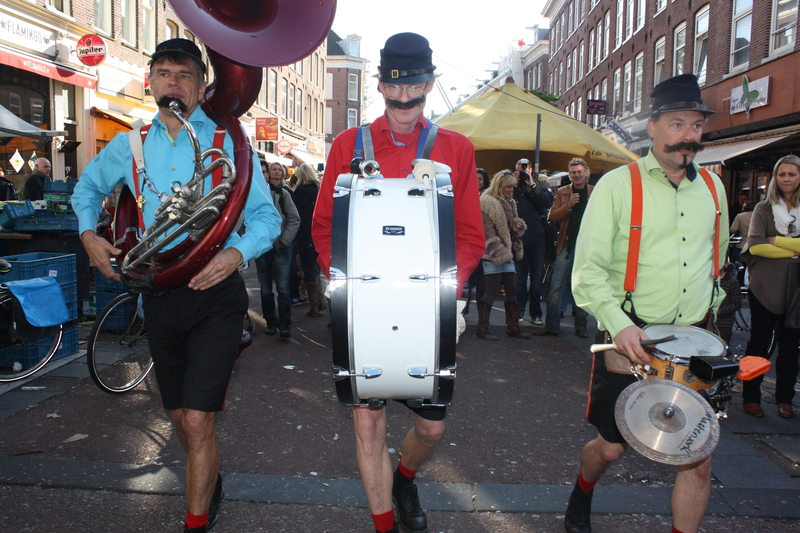 Three middle-aged men, dressed in bright shirts, suspenders and fake mustaches paraded down the crowded market, singing loudly and proudly, banging their drums. Singing everything from White Stripes to Frank Sinatra, they were talented and fun. We paused a few minutes, enjoying the serenade and hopped on the bikes to the next pub to celebrate this random and exciting city.